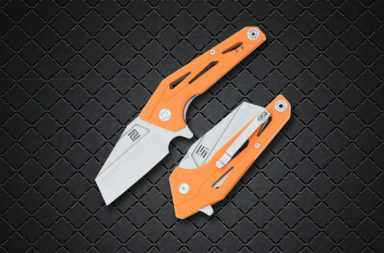 Designed by the amazing Scot Matsuoka for Kizer Knives, the Kizer Vanguard Kala pays homage to the Loveless skinner. 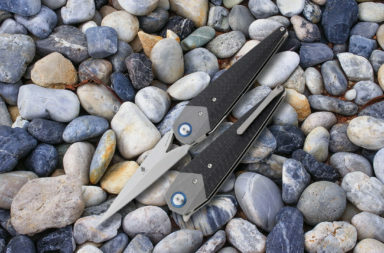 He has updated the age-old skinner model by making it a lightweight EDC flipper with a smooth, fast action. Scot Matsuoka trained under Ken Onion when he first started knife making. He became a professional knife maker in 2003, and after trying out the Kizer Vanguard Kala, we see only fantastic things in store for him in the future. The form and function of this knife is outstanding. 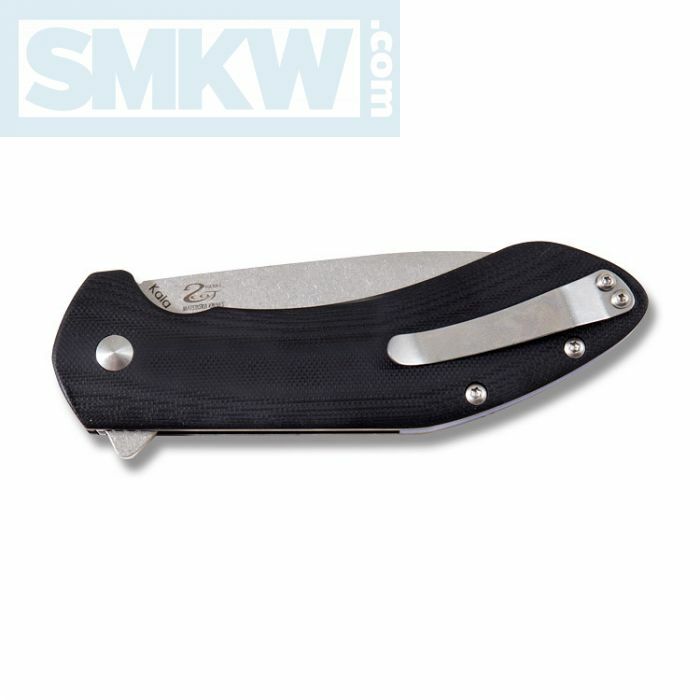 Featuring a ball bearing pivot, the flipper action on this knife is fast and smooth. 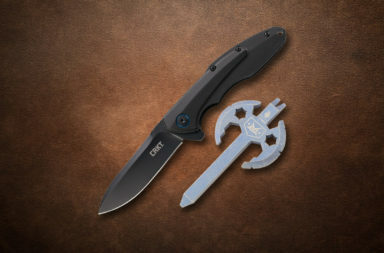 Once the blade is deployed, it’s securely held in place by a sturdy liner lock. This 3.74” drop point has a stonewash finish, and the VG-10 steel will take and hold an edge with ease without being brittle. 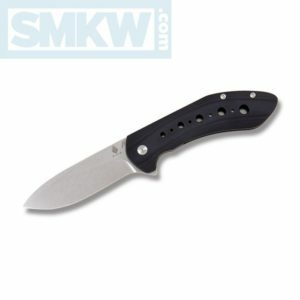 The blade swedge combined with the machined holes in either the brown or the black G-10 handles help it achieve a nice balance. It feels great in your hand. Finally, at only 5.77 ounces the Vanguard Kala is an easy carry. The tip-up pocket clip is slim enough to be unobtrusive yet formed to ride easy in the pocket. Overall, the Kizer Vanguard Kala makes an excellent addition to any EDC rotation. If you’re interested in this knife, click any link in the article or simply click the button below. 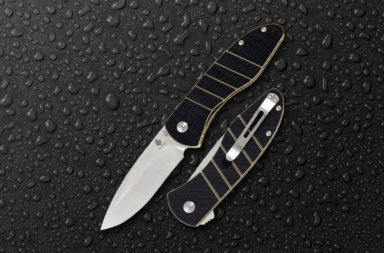 The Tidioute Huckleberry Boys Knife GEC pattern #15: The chain is cool, dang it.